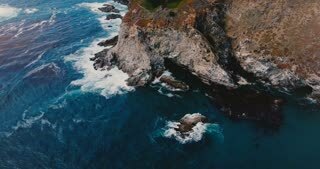 Search Results for "big sur"
Amazing panoramic aerial shot of amazing Bixby Canyon Bridge and Highway 1, famous USA landmark in Big Sur California. 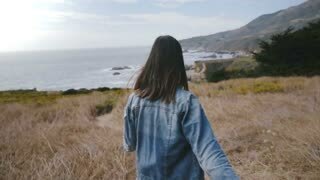 Attractive young woman with flying hair and backpack walks at amazing summer ocean vista point at Bixby bridge, Big Sur. 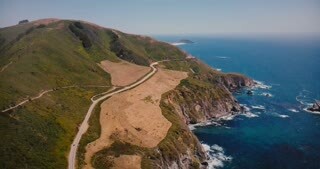 Incredible top view aerial shot of Highway 1 at Bixby Creek Bridge with amazing mountains and ocean Big Sur California. 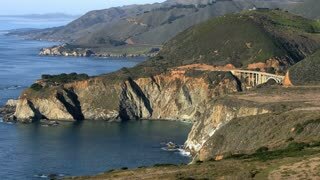 Young tourist woman with backpack watching epic scenery at Bixby Canyon bridge vista point in sunny Big Sur, California. 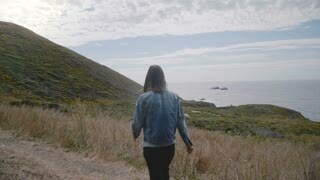 Young beautiful sad woman looks depressed and down walking on epic Big Sur ocean coast covered with lush yellow flowers. 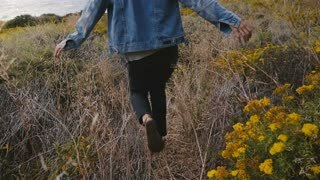 Camera follows young happy woman running among yellow flower view point towards epic rocky Big Sur ocean coastline. 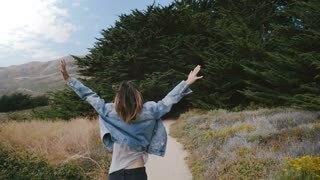 Happy young woman with hair blowing in the wind smiling at camera at sunny vista point at Bixby Canyon bridge, Big Sur. 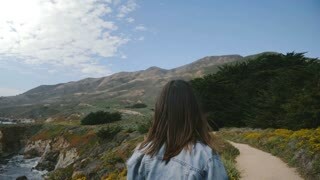 Back view young tourist woman with backpack looking down on epic scenery at Bixby Canyon bridge point in sunny Big Sur. 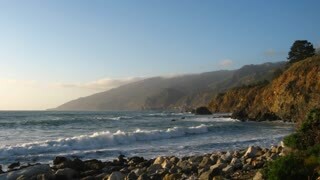 Epic panoramic shot of amazing sunny ocean beach coast and rocks at beautiful iconic Big Sur vista point, California. 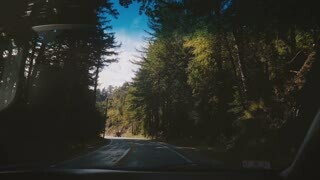 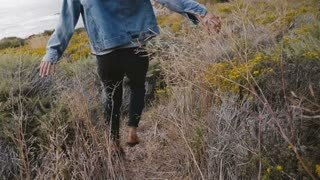 Camera follows beautiful young happy free woman running with arms open on a small path into dark forest at Big Sur. 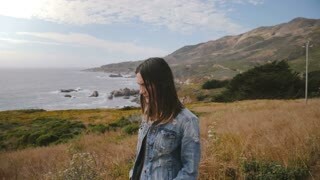 Attractive smiling young happy woman looks at camera on epic Big Sur ocean coast covered with lush yellow flowers. 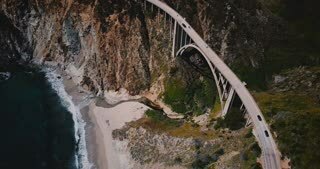 Amazing cinematic aerial shot of famous Bixby Canyon Bridge and Highway 1 sunny summer panorama in Big Sur California. 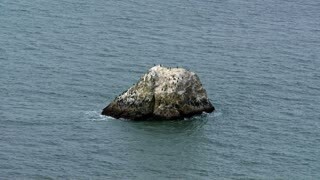 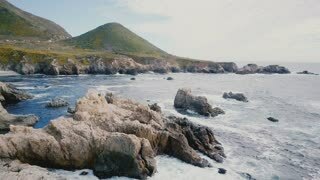 Beautiful middle aged woman walks on amazing Big Sur ocean rocky coastline with big mountain, smiles back at camera. 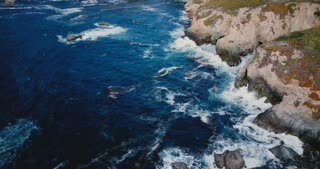 Beautiful top view drone shot of amazing dark blue ocean waves foaming at rocky cliff coast line in Big Sur California. 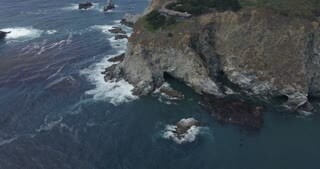 Beautiful cinematic aerial shot of epic famous Bixby Canyon Bridge and Highway 1 summer scenery in Big Sur California. 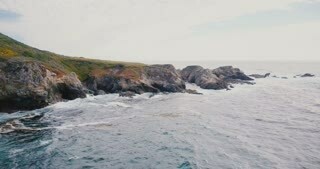 Static panoramic shot of amazing summer ocean beach coastline rocks at beautiful epic Big Sur vista point, California. 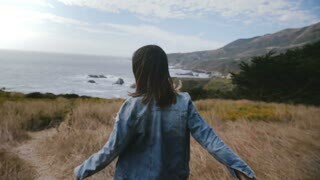 Back view of young tourist woman with hair flying in strong wind watching epic scenery at Bixby Canyon bridge, Big Sur. 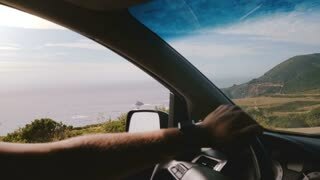 Epic in-car shot of amazing sunny Big Sur ocean beach coast and rocks, concept of road trip along iconic Highway 1. 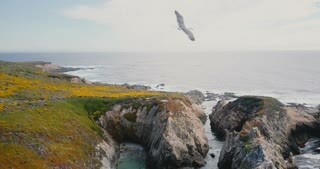 Happy middle aged man smiling, walking around beautiful Big Sur ocean coastline covered with flowers in California USA. 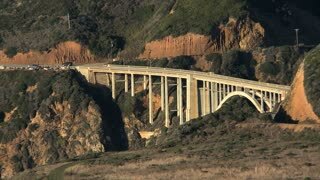 Epic background medium shot of iconic Bixby Canyon Bridge, cars on Highway 1 and Pacific Ocean in Big Sur California. 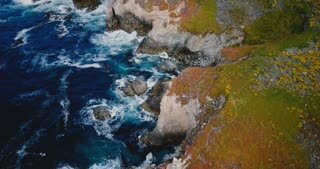 Beautiful top view aerial shot of iconic Highway 1 at Bixby Creek Bridge, famous travel destination Big Sur California. 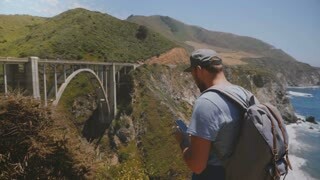 Young happy excited tourist man with backpack takes smartphone photo of iconic Bixby Creek bridge in Big Sur California. 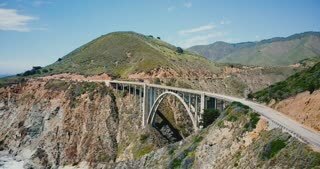 Excited happy young tourist man with backpack takes panoramic smartphone photo of famous Bixby Canyon bridge Big Sur. 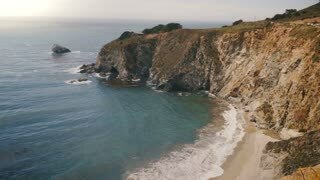 Close-up man and woman walk together holding hands at epic beautiful view of Bixby Creek bridge in Big Sur California. 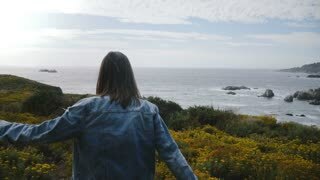 Camera follows young happy woman walking on small yellow flower path towards rocks and forest at Big Sur coastline.